Sometimes on a hot summer day you just want a refreshing drink without the buzz. 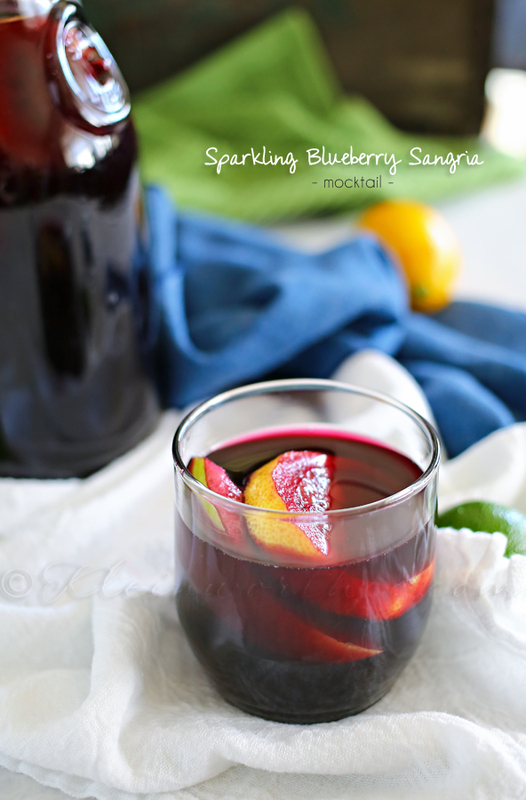 This Sparkling Blueberry Sangria Mocktail is a great non-alcoholic beverage idea packed full of gorgeous fruit in a tasty blueberry juice & a little added fizz. It’s so delicious & enjoyable for the whole family. 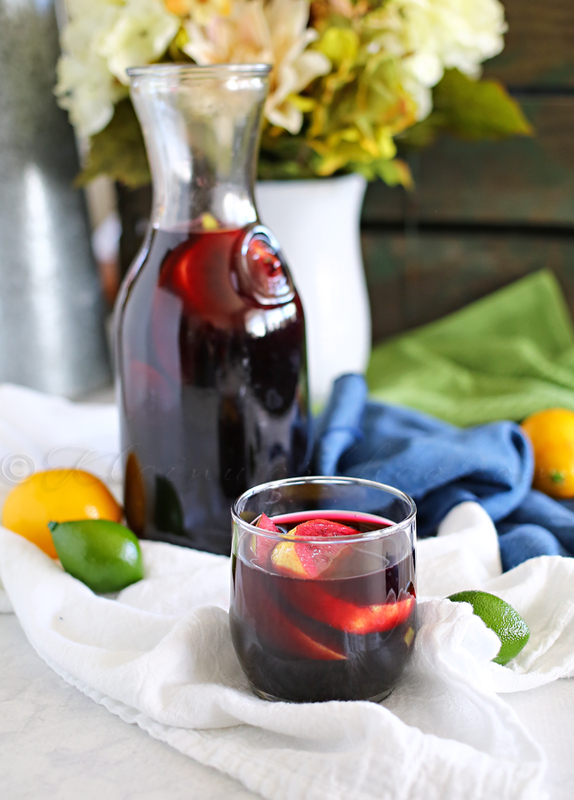 I just love the colors of all the things that go into a sangria recipe. 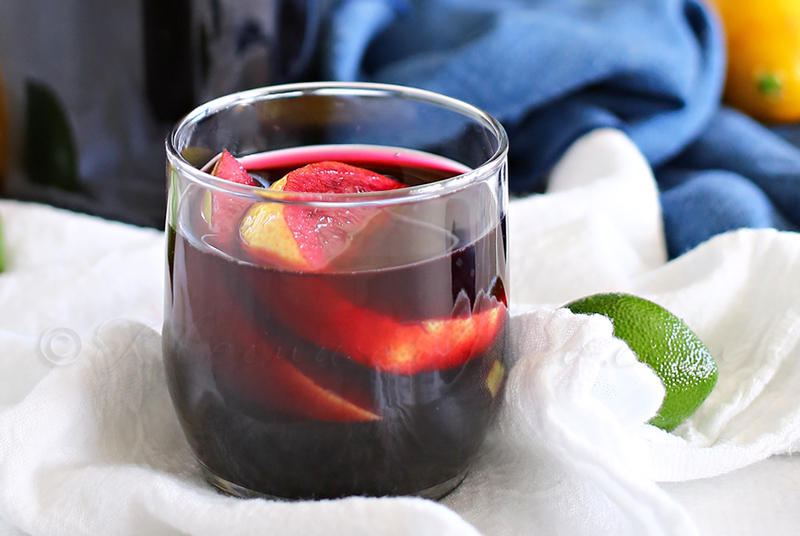 This one is packed with grapes, apples, lemons & limes. 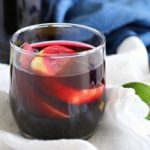 Gorgeous fruits in a beautiful drink. 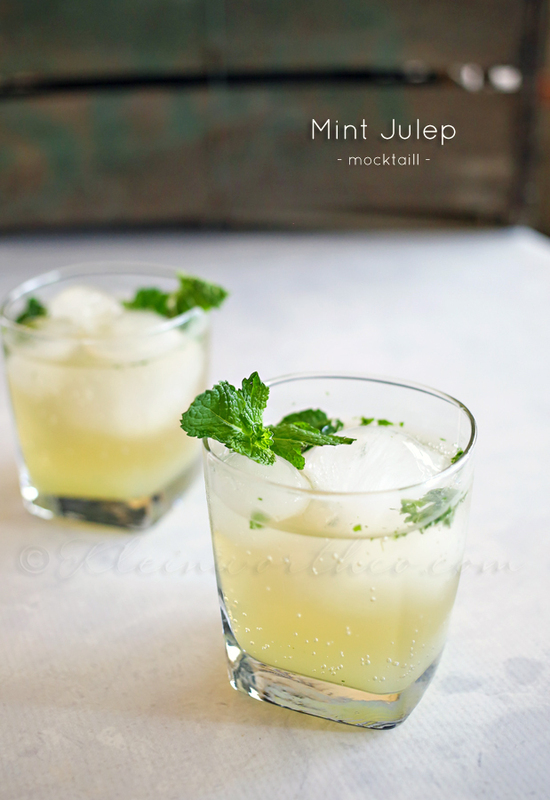 But I really like the mocktail version so everyone can enjoy it. It’s no fun if some are left out – and it’s so easy to make this one. Besides – the cocktail version of this isn’t exactly hydrating. 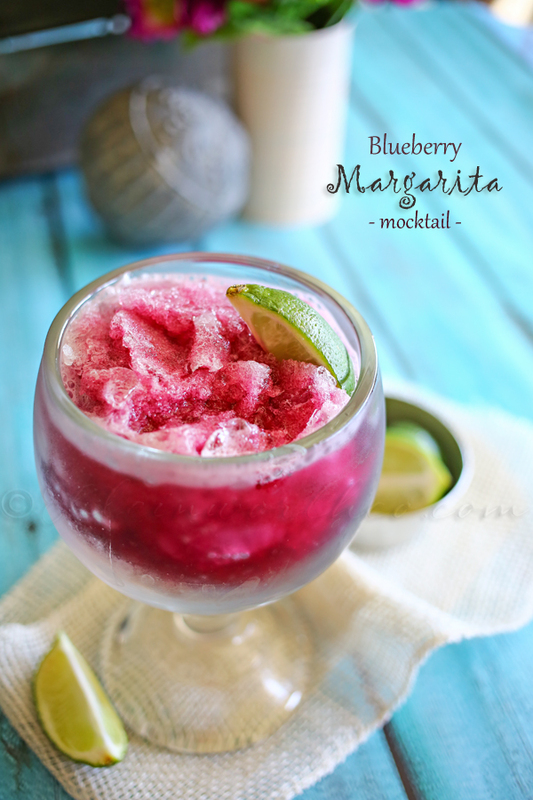 But this, this one is perfect for sipping by the poolside. I like to make a huge pitcher when I get up in the morning & let it sit in the fridge while we plan out our day. By the time we are ready to hit the pool it’s ready to go. Add some to a frozen mug while you relax in your floatie & it makes it even better. 1 bottle blueberry juice 32 oz. 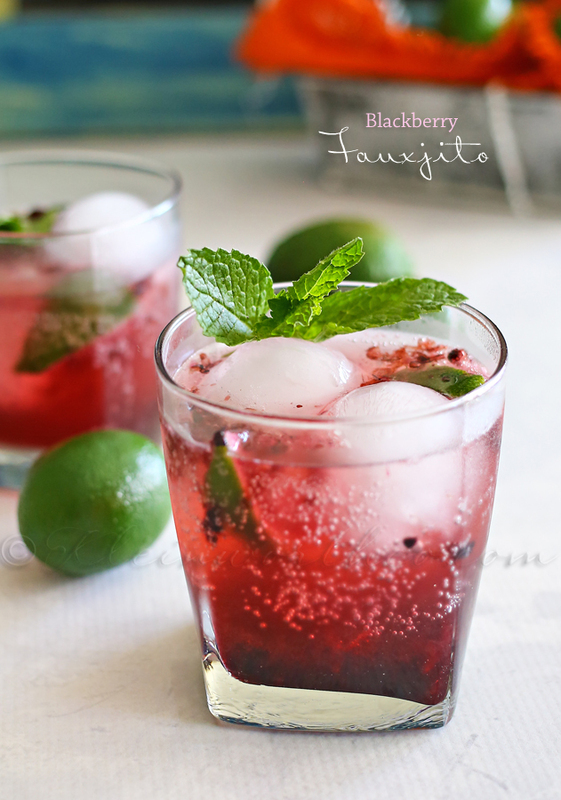 How about more great mocktail recipes? What’s your favorite refreshment on hot summer days? Gina ~ Thanks for sharing at the Thursday Favorite Things Blog Hop! As always you have wonderful things to share!